Brief Bio: Shiliang Zhang is leading the Media and Vision Computing Group at Institute of Digital Media, Peking University. He received the Ph.D. degree from Institute of Computing Technology, Chinese Academy of Sciences in 2012 with honors. After that, he was a Postdoctoral Fellow in University of Texas at San Antonio and a Postdoctoral Scientist in NEC Labs America, Cupertino, CA. In early 2015, he joined the school of Electronic Engineering and Computer Science, Peking University as a Tenure Track Assistant Professor and Ph.D. Advisor. 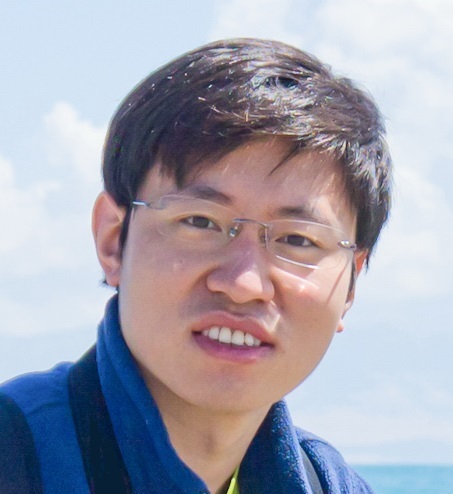 His research interests include large-scale image retrieval, computer vision for autonomous driving, and deep learning for image understanding. Internship and Graduate Students (both Ph.D. and Master) Opening: I am looking for self-motivated candidates who have solid mathematical backgrounds, strong English ability, and strong coding skills. If you are interested in doing research on Computer Vision and Multimedia, and want to apply your algorithms to real problems like Internet image search, autonomous driving, please send detailed CV to me. J. He, S. Zhang, M. Yang, Y. Shan and T. Huang. 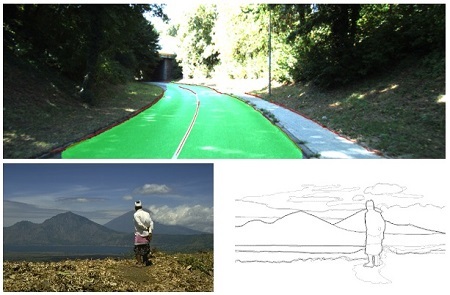 Bi-Directional Cascade Network for Perceptual Edge Detection, accepted by IEEE CVPR, 2019. J. Ye, S. Zhang, T. Huang, and Y. Rui. CDbin: Compact Discriminative Binary Descriptor Learned with Efficient Neural Network, accepted by IEEE T-CSVT, 2019. H. Yao, S. Zhang, R. Hong, Y. Zhang, C. Xu, and Q. Tian. 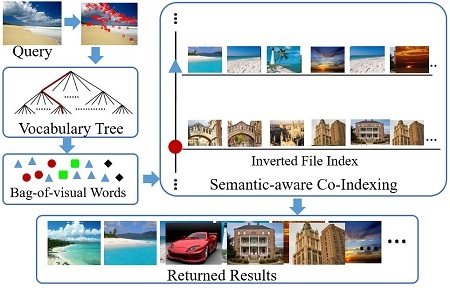 Deep RepresentationLearning with Part Loss for Person Re-Identification, accepted by IEEE T-IP, 2019. J. Li, S. Zhang, and T. Huang. Multi-scale 3D Convolution Network for Video Based Person Re-Identification, AAAI, 2019. L. Wei, S. Zhang, H. Yao, W. Gao, and Q. Tian. GLAD: Global-Local-Alignment Descriptor for Scalable Person Re-Identification, IEEE T-MM, 2018. L. Lan, X. Wang, S. Zhang, D. Tao, W. Gao, and T. Huang. Interacting Tracklets for Multi-object Tracking, IEEE T-IP, 2018. L. Wei, S. Zhang, W. Gao, and Q. Tian. Person Transfer GAN to Bridge Domain Gap for Person Re-Identification, Spotlight at CVPR, 2018. X. Liu, S. Zhang, Q. Huang, and W. Gao. RAM: A Region-Aware Deep Model for Vehicle Re-Identification. IEEE ICME, 2018. C. Su, F. Yang, S. Zhang, Q. Tian, L. S. Davis, and W. Gao. Multi-Task learning with low rank attribute embedding for multi-camera person re-identification. IEEE T-PAMI, 2018. S. Zhang, S. Zhang, T. Huang, W. Gao, and Q. Tian. Learning affective features with a hybrid deep model for audio-visual emotion recognition. IEEE T-CSVT, 2018. S. Zhang, S. Zhang, T. Huang, and W. Gao. Speech emotion recognition using deep convolutional neural network and discriminant temporal pyramid matching. IEEE T-MM, 2018. H. Yao, S. Zhang, Y. Zhang, J. Li, and Q. Tian. 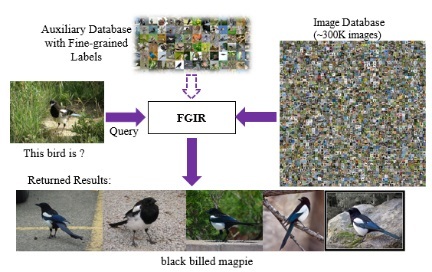 AutoBD: Automated Bi-level Description for scalable fine-grained visual categorization. IEEE T-IP, 2018. C. Su, S. Zhang, J. Xing, Q. Tian, and W. Gao. Multi-type attributes driven multi-camera person re-identification, Pattern Recognition, 2018. C. Su, S. Zhang, Y. Fan, G. Zhang, Q. Tian, W. Gao, and L. S Davis. Attributes driven tracklet -to-tracklet person re-identification using latent prototypes space mapping. Pattern Recognition, 2017. C. Su, J. Li, S. Zhang, J. Xing, W. Gao, and Q. Tian. Pose-driven Deep Convolutional Model for Person Re-identification. ICCV, 2017. L. Wei, S. Zhang, H. Yao, W. Gao, and Q. Tian. GLAD: Global-Local-Alignment Descriptor for Pedestrian Retrieval. ACM MM, 2017. H. Yao, S. Zhang, Y. Zhang, Q. Tian. One-Shot Fine-Grained Instance Retrieval. ACM MM, 2017. 2019. 03, one paper on edge detection was accepted by CVPR 2019. Please check the arxiv version link. We will release the code soon! 2019. 02, The code and model of our CDbin descriptor has been released. Please download and try this 256-bit local descriptor link. 2019. 01, our paper CDbin: Compact Discriminative Binary Descriptor Learned with Efficient Neural Network accepted by IEEE T-CSVT, Congratulations to Jianming for his first paper! We will release the code soon! 2018. 12, our paper Deep RepresentationLearning with Part Loss for Person Re-Identification accepted by IEEE T-IP, Congratulations to all! 2018. 11, the code of Multi-Scale 3D Convolution Network proposed in our AAAI'19 paper has been released, link. 2018. 11, one paper on video person reid "Multi-scale 3D Convolution Network for Video Based Person Re-Identification" accepted by AAAI 2019, Congratulations to all! We will release the code soon! 2018. 08, a more complete version of GLAD: Global-Local-Alignment Descriptor for Pedestrian Retrieval is accepted by IEEE T-MM, Congratulations to all! 2018. 06, as one of the 12 research groups worldwild, our team received the Nvidia Pioneering Research Award at CVPR2018, Congratulations to all! 2018. 05, one paper on multi-object tracking was accepted by IEEE T-IP, Congratulations to all! 2018. 05, the slides of our FG 2018 tutorial Person Re-Identification: Recent Advances and Challenges have been uploaded to this link: link. 2018. 04, the code of Person Transfer GAN (PTGAN) proposed in our CVPR'18 paper has been released, link. 2018. 04, one demo paper accepted by ICMR 2018. We will show a person and vehicle Re-ID system at ICMR 2018! 2018. 03, one paper on person Re-Identification was accepted as Spotlight paper by CVPR 2018. The dataset can be downloaded from the link. 2018. 02, we are organizing a tutorial on FG2018: Person Re-Identification: Recent Advances and Challenges. Welcome and see you in Xi’an! 2018. 02, one paper on video emotion recognition accepted by IEEE T-MM Congratulations to all! 2018. 01, the code of our ACM MM17 paper: GLAD: Global-Local-Alignment Descriptor for Pedestrian Retrieval is released, link. 2018. 01, the dataset of our ACM MM17 paper: One-Shot Fine-Grained Instance Retrieval is released, link. 2018. 01, one paper on Fine-grained visual categorization was accepted by T-IP, Congratulations to all! 2018. 01, one paper on attribute based person Re-Identification was accepted by T-PAMI, Congratulations to all!